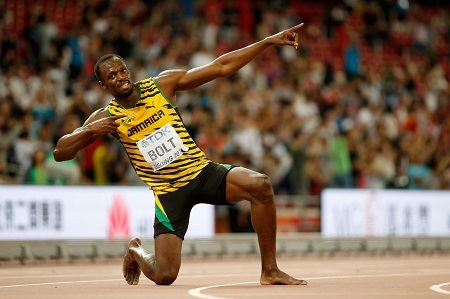 Usain Bolt, Olympic legend, had an open invitation to train with German Bundesliga power Borussia Dortmund for a year, and he is finally going to take the club up on the offer. According to Yahoo News, Bolt revealed last weekend that he would participate in a trial with Dortmund as he looks to pursue a professional soccer career at age 32. But his goal is not to play alongside Christian Pulisic at Dortmund. Nope. The eight-time Olympic gold medalist has his sights set on playing for his favorite club, Manchester United. He’s not joking either. There’s nothing wrong with Bolt shooting his shot, though. The worst that can happen is that he ends up being just an eight-time Olympic gold medalist.